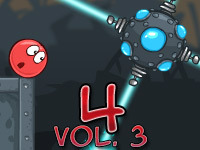 Red Ball is back in action in this episode of the game, Red Ball 4 ( Volume 1). Seek out the evil Black Square, who is up to naughty tasks to rule the world, and defeat his minions through all 15 levels of the game! But be careful, this time you could end up a flattened mess yourself. Do you have what it takes to defeat the evil and rid the world of their destruction? You play as Red Ball, who has just discovered the evil plans set into motion by the Black Square which is changing all of his red ball friends into red squares! Black Square’s evil plans, if you don’t squash them first, will quickly allow him to rule the world with his square minions! Stop him – at all cost – and rescue your friends from his reign of destruction! Throughout each level, your objective is three-fold. 1 – defeat the evil minions that Black Square has already set into place to achieve his evil goals. 2 – collect stars to earn points. 3 –earn achievements to boost your overall score tremendously. 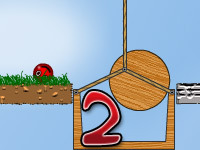 Similar to previous versions, in Red Ball 4, Volume 1, guide the red ball through each level by using either the ASWD keys or the arrow keys on your keyboard. 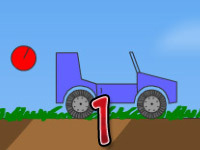 In addition, you can pause the game by pressing the P button, reset the level by pressing the R button, or return to the main menu by clicking on the main menu button. You can also mute the sound effects and music by clicking on each corresponding icon. 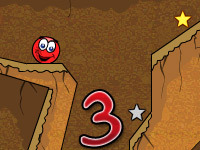 Previous versions of Red Ball required you to collect a certain amount of stars in order to either complete a level or boost your score. While players are still tasked with collecting stars, a new feature has been added to the game: achievements. There are 16 achievements that players can earn, each can be quite difficult to achieve, but some are rather easy. Here’s a few examples of some achievements you can pursue throughout your adventures in each of the challenging levels. 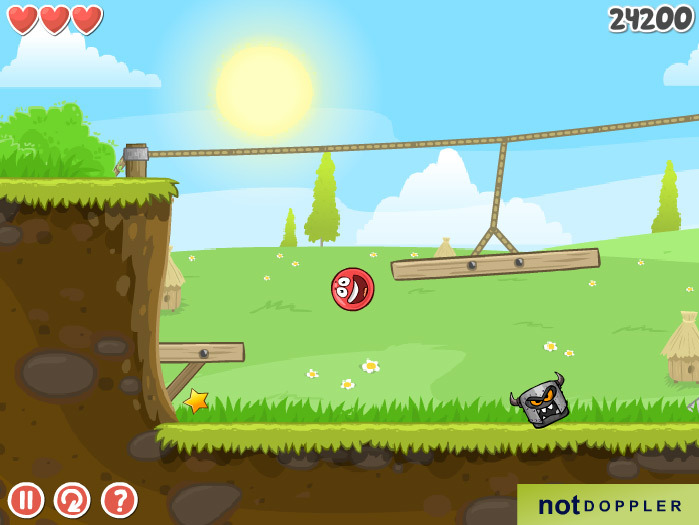 Red Ball 4 also includes many new obstacles for players to overcome. Here’s a few tips and spoilers to help you defeat each level and win the day! 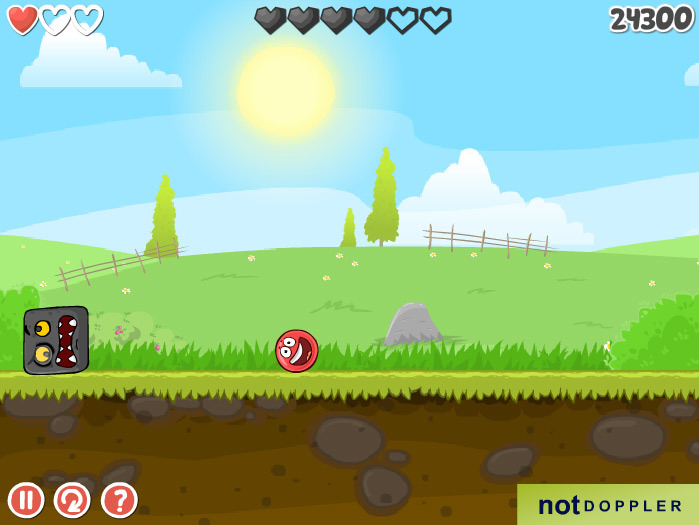 This version includes many more movable boxes and other obstacles to help (or prevent) players complete each level. Water is not your friend! Avoid water whenever possible; Red Ball as forgotten how to swim! Players only have 3 lives to work with. Be careful not to lose too many lives! Touching black boxes before pouncing on them will cause you to lose a life, pounce and aim carefully. Have you tried multiple times to complete a level and just can’t figure out what you’re doing wrong? Don’t worry, there are many walkthrough videos scattered around the internet that you can easily search for and watch. Some videos may cover only a handful of levels, while others will include every level available in the game! 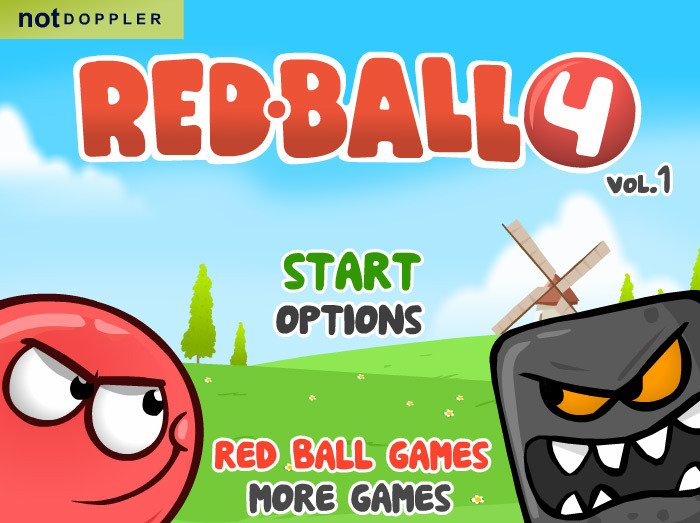 A simple google search, or searching on YouTube will provide you with an abundance of walkthrough videos, tips, hacks, and cheats to help you conquer each challenging level in Red Ball 4 Vol 1.